“The notion that social media companies are filtering out conservative voices is a hoax,” said Rep. Nadler. Nadler takes in a substantial amount of money from the tech giants he was defending. His top donor in 2017 was Alphabet Inc, the parent company of Google and YouTube. Later in the hearing, Rep. Nadler conceded that “maybe Facebook has treated [Diamond & Silk] unfairly, and maybe not, I don’t know” but insisted that even if it were true, it did not establish a “pattern” of discrimination against conservatives. One of the witnesses at the panel, Rep. Jim Hines (D-CT), also attacked Republicans for talking about censorship. Hines seems to have missed the rise of the corporate culture wars, which has seen businesses as large as Citigroup deliberately and publicly take positions in opposition to their conservative customers. Other Democrats on the committee continued to belittle censorship concerns. 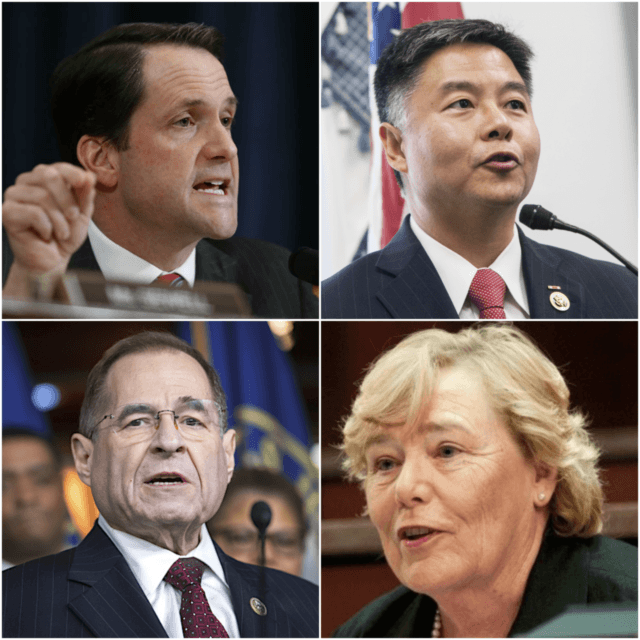 “I think there are important issues to be examined when it comes to social media platforms … I don’t know that the topic of today’s hearing is really one of them” said Rep. Zoe Lofgren (D-CA). He went on to call the regulation of social media “unconstitutional,” and said that Facebook and Twitter are “not like UPS or FedEx [but are] like publishers, like the media,” and do not have an obligation to promote certain content. Even as they mocked conservative concerns over tech censorship as a fantasy, congressional Democrats defended tech companies’ right to do it if they wanted to. “Let’s say that Google has decided, we’re just not going to carry people that talk about PizzaGate anymore. Can the government say ‘you can’t do that’?” asked Lieu. “Is there anybody who thinks it’s the role of the government to be compelling Facebook to follow some kind of ideological or political policy?” he continued.